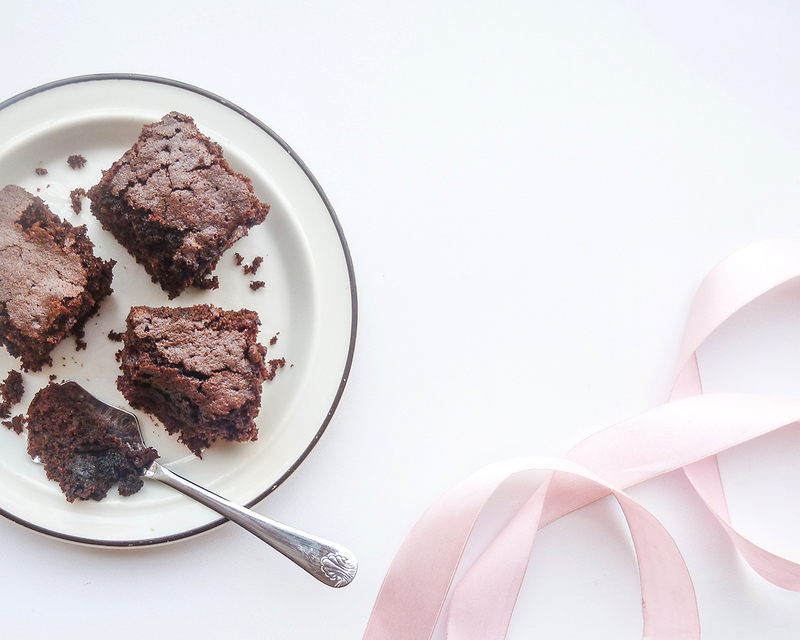 Are you looking for a brownies recipe that doesn't require butter and chocolate blocks? 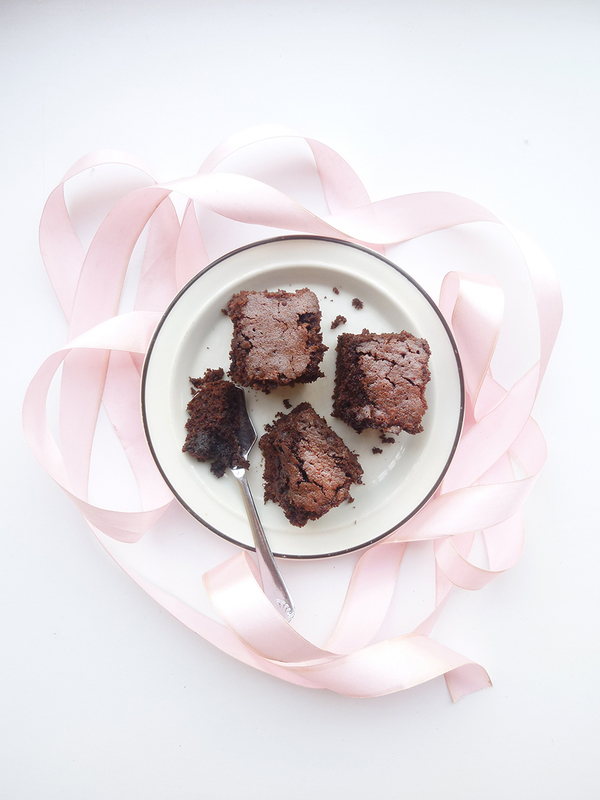 Then these non-fudge brownies are your answer! 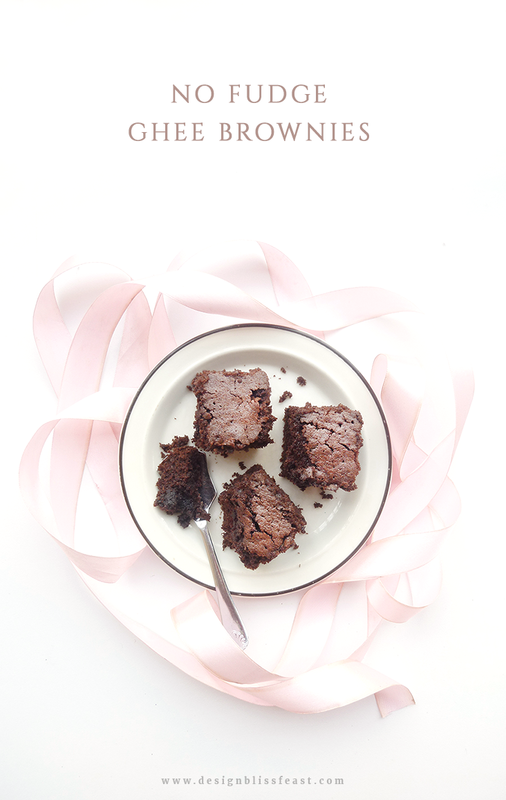 The recipe is taken from my Aunt, which she is using for quite a long time now and is the best homemade brownies I've ever tried. It rises to the perfection into the cakery texture, comes out of oven very soft, top gets crusty as it slightly cool down, tastes so moist and chocolaty. You will need ghee and cocoa powder instead of butter and baking chocolate to prepare these goodness. To be honest, I'm not a fan of butter when it come to baking. Probably because I didn't grow up learning baking with it. Sponge cake method is what I've skilled at, however many tend to fail over it. Mainly to keep the whipped air into the batter, that's a tricky thing. I've recreated that method into my own version of ooey gooey cupcakes that every one loves. Might share that recipe here sometime soon, as I'm planning to share food post/recipe at least once a month to keep my inner food blogger at calm. 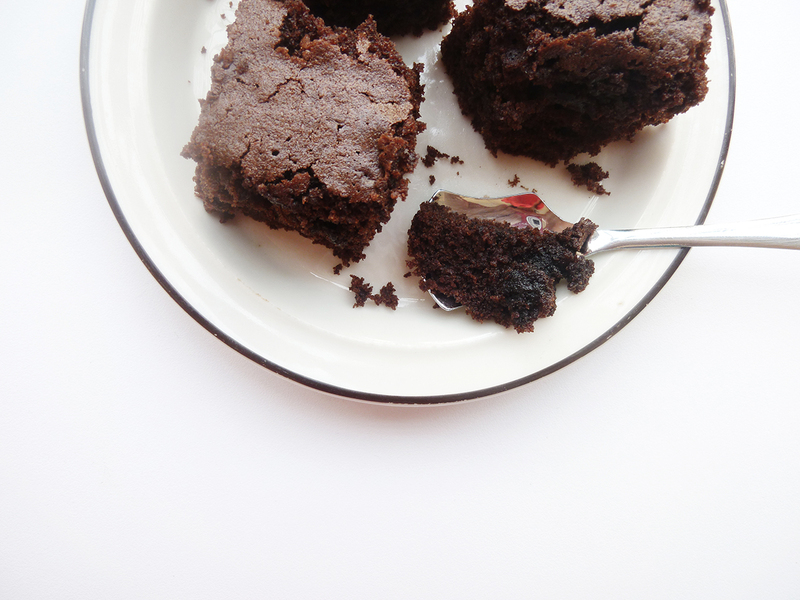 So without further ado, here goes the No Fudge Ghee Brownies recipe. First you need to cold your ghee to hold its position, but not to freeze. We won't be using a room temperature one either. Simply leave it in the fridge for 10 minutes. Preheat the oven to 325 degrees F. Coat an 11x7x2 baking pan with nonstick spray or oil then line with parchment paper. When ghee is all ready to put on some action, throw it the mixing bowl and start creaming it with the beater. Add in sugar and beat well. Add eggs one by one and keep mixing/beating until well combined. Add cocoa powder, beat well. Add flour, soda, salt and baking powder and mix well to combine everything together. Pour the prepared batter into the baking pan. Bake for 30-35 minutes until done. Note that, if you over bake it, all the moistness and texture will be gone. So look out for the done-ness as time rolling around.